A golden tench is a raised fish form derived from the original tench coming from Europe. It is also referred to as doctor fish, because it is claimed that this fish takes care that different fish will not fall ill. The skin of the tench should contain an antibiotic which would protect other fish. Of course this is a figment, however this fish takes care that the pond water will remain cleaner and that will truly help other fish. You can recognize a golden tench by its orange colour often with dark spots. 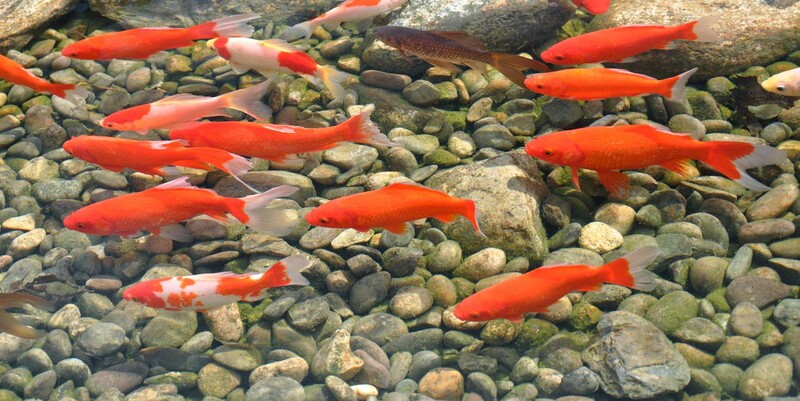 Combine golden tenches in a pond with koi carps, because a golden tench eat the excrements of koi carps. A golden tench is a strong fish which will not easily fall ill. It may grow rather big, although it may last a considerable period of time before it reaches its maximum length. They will reach a length ranging between 16 and 26 in. Its weight is maximum 4.5 kilograms. They will reach an age of about 15 to 20 years old. The depth of your pond should be minimum 28 in and it should preferably hold many plants. A gold tench can be held along with all other kinds of pond fish. Place golden tench in a little group of at least five fish and not more than five fish per cubic metre of water. A golden tench is a bottom dweller. It is not unusual that you do not see it for a longer period of time. It is even possible that you do not see a golden tench for many years. They like dark coloured soil with much mud. 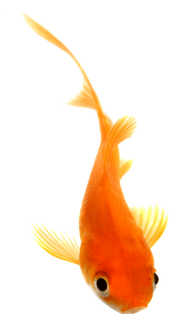 A golden tench likes balanced fish feed that is easily digestible.